Beijing has the reputation to have the best universities in China, of course in competition with Shanghai. Universities in Beijing will impress you by their size, they are located, for most of them, in the Wudaokou district northwest of Beijing. Some of them have tens of thousands of students are are quite impressive in the core of Beijing city. Peking University, or Beida, and Tsinghua university, that are the two most prestigious universities of China have both more than 30,000 students. As a foreigner, you can study there, it would even be easier to get in than it is for a Chinese citizen. Chinese students have to pass the Gaokou, a kind of Baccalaureate that grants entry to the universities, but it is very selective and difficult, only top scores at the Gaokao would be allowed to study in Beijing. There are some procedures for foreign students who have to have the HSK, an exam in Chinese language proficiency and score 5 or 6. This is for the students studying in Chinese, some courses are available in English in some universites. The fees are quite high, more expensive for foreigners than for Chinese students, ranging from 40,000 RMB to 100,000 RMB a year. Rooms on the campus are cheaper than in most western universities, it is around 2,000 RMB a month now. 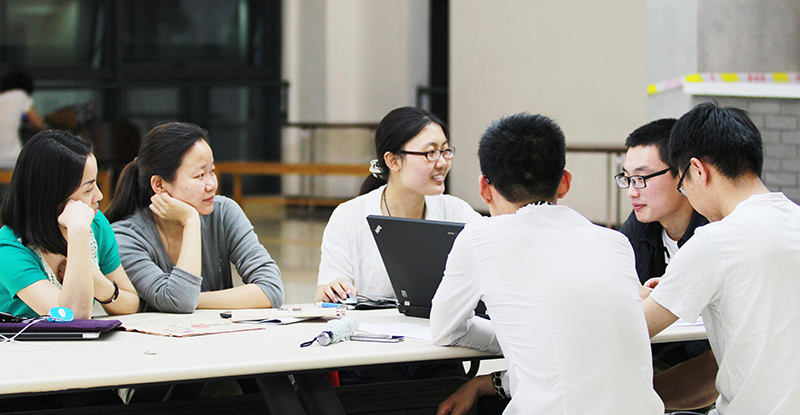 The Universties offer Chinese lessons as well, and it can be a good idea to start in China, being intergrated on a campus while studying Chinese. The quality of housing on the campus varies a lot, from impressive in Beida to very poor in some universities. er. Many universities here now propose MBA, which can be a good idea to start a career while enjoying a stay abroad. Beida and Tsinghua propose very prestigious MBA, for example the Rugters International MBA that had a great score in the Wall Street Journal listings. There is a lot of foreign students in Chinese universities now, it is a new word trend, encouraged by the Chinese government. Around 280,000 foreign students are currently there and the Chinese government hopes it will be double within 10 years, a brand new China is emerging from its universities and globalization. There is 45 national univesities in Beijing where you can study a very large range of fields, from business, technology (some universities with strong likns with Zhongguancun Science Park, science, law, art… 22 municipal univeristies and some private institutions. If you are interested, do your homework and see which ones have the best reputation.